From the numerous runners who come out to run the race in Halloween costumes of all kinds to the 5K running event in which participants are allowed to bring their dogs along for the race — the “5K-9” run — it’s no wonder that St. Paul’s Team Ortho Monster Dash Half Marathon has seen its number of entrants grow to more than 8,000 runners in the half marathon and 10-mile races alone. 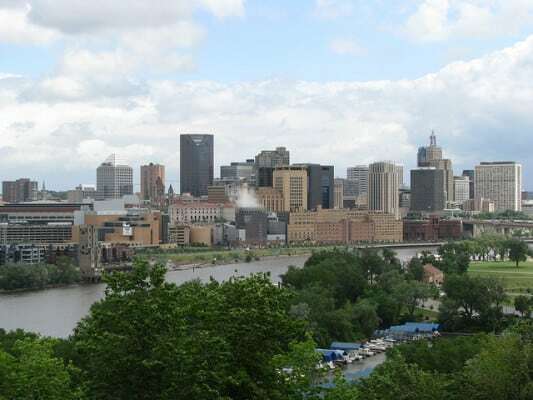 For its 2019 running, the race runs through St. Paul along a fast, flat course that will offer an excellent chance to set a PR time, as it’s all downhill from start to finish. This year, the half marathon and 10-mile races will start at the Cathedral of St. Paul, and from there start out with a 4 1/2-mile-long east-to-west stretch along Summit Avenue. Once runners reach East River Parkway and Mississippi River Boulevard, the course pretty much keeps runners along the banks of the Mississippi for the rest of the race. This all-downhill course is a fast one, organizers note, with an overall elevation that drops about 400 feet between the start and the finish line. The course — which is also USATF-certified — winds along the river, along East River Parkway and Shepard Road, all the way to the 10-mile race finish line on the edge of Crosby Lake Park, and then all the way to the half marathon finish on Shepard Road, just past the Smith Avenue bridge. The race also hosts a costume contest — so you can run all 13.1 miles (or 10 miles or 3.1 miles, if you’re running the 5K) in costume. There will also be a costume contest at the end of the race. Located in the southeastern part of the state, Minneapolis typically experiences cool (and sometimes quite cold) to mild weather conditions in the mid-fall season, and usually drier weather in October than in the preceding summer months, a month that has brought record temperatures here as low as 15°F (in 1996) and as high as 88°F (in 1997). On race day (Oct. 26), the average low is 35°F and the average high is 53°F. See the race route map for the Monster Dash Half Marathon here. To reserve your spot in the Halloween 2019 running of St. Paul’s Monster Dash Half Marathon, 5K or 10-Mile race, register online at MarathonGuide.com here. Ever run in the Monster Dash Half Marathon? Share your impressions here, or post your review in the Comments below. I found a meyer white bear soccer jacket and snow board jacket after race. Would like to return. Is the Monster Dash registration transferable to a future race?